SUPER HAPPY to finally share some information about RC Plane 3 ! We have been working on it and the technologies composing it for over 3 years and we are finally approaching release ! – Realistic physics . 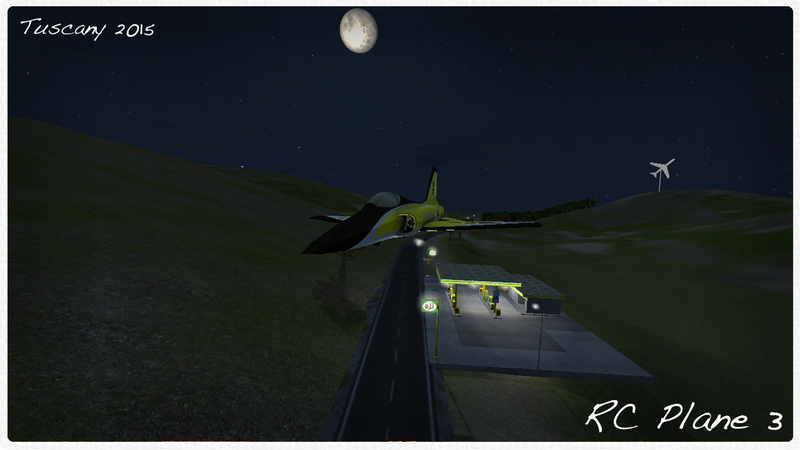 Among the most advanced plane simulations. 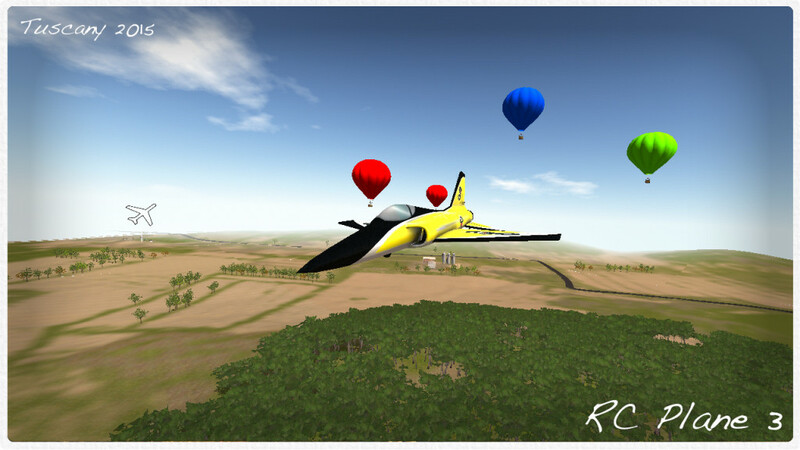 – A completely new base for RC Plane to grow on, new scenarios and game modes will come trough updates as for RC Plane 2, but with way more possibilities thanks to new tech. 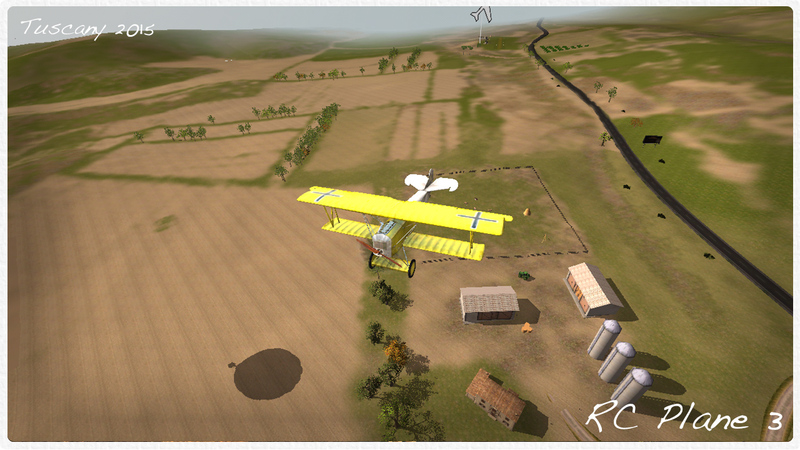 – Flaps, retractable landing gears and more…..
Game is still under development and should be ready very soon. BUT as with RC Plane 2 we are going to continue expanding the game for years to come so we would love all possible feedback to make always better and create always new and compelling game modes. New engine is built so support RC Plane 3 in coming years, and we had to take the hard decision of supporting only newer devices at game launch, so RC Plane 3 iOS device requirements start with the iPhone 5, iPod Touch 6th gen, iPad 4 and iPad Mini Retina, older devices are not supported and game will run badly on them…. First generation iPad Mini (not retina) is not supported, all other iPad Minis (including iPad Mini Retina 1st generation) are supported. 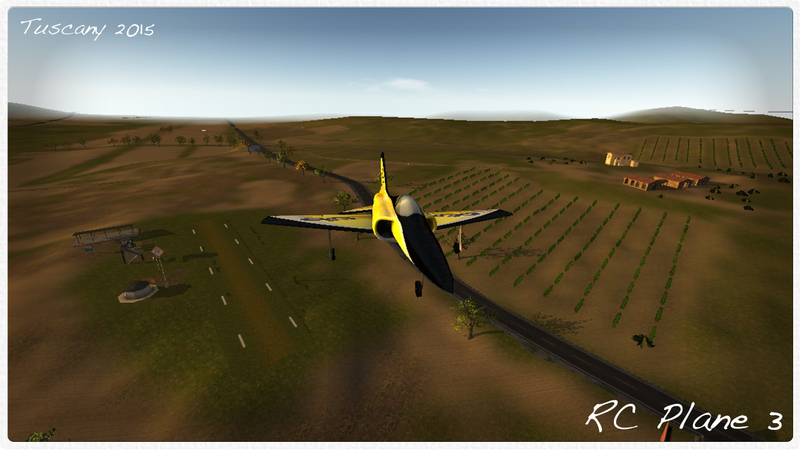 There will be in-app and free content as in RC Plane 2, and it will hopefully be released in the next few weeks. Thanks for your interest. At release no VTOLS…. BUT they are planned for version 1.2 (1.1 will bring multiplayer and should be released before Christmas). Also, there are other planes in game that the sneak peek didn’t show yet. Yes, it is a pretty good game but comes with a lot of in game purchases, overall it’s a game you must play. And yes it did come out for ipad mini. CANT WAIT I LOVE TO PLAY RC PLANES 2 IN THE CAR AND STUFF SOOO EXCITED!!!!!!!!! Hi I was a big fan of rc plane 2. And I am wondering if we could get some planes from rc plane 2 to rc plane 3 like dlc. Also will there be helicopters and possibly better crash physics? since the physic model has been completely re-written, it won’t be likely possible we can just take the old planes and put into the new game but of course with the time we will keep adding stuff to this new chapter of Rc Plane! Helicopters, not likely, we have released Rc Heli 3 for that.. but we don’t know. What can i say is that we will have drones! Crash physics, yes, better. Think that is possible to hit a pole with one of your plane wings and, if you’re lucky enough to not break it, survive after recovering your flying asset. This is great news. I hope we can get p38 and u2. Sopwith camel? Hey can you guys put retractable landing gears in RC Planes 2 too. Also please email me your response. It would be helpful to have a few on screen instruments like airspeed and compass, the choice of continuous firing or multiple Bomb drops would be appreciated. You guys have done amazing things with the current game. Thanks for the hard work. I don’t think they will because duh the game is called RC Plane, Not RC Tank. Can we get chinooks with tank pick up. I love the c130 missions in rc2..but want to land to pick up mobile cargo like tanks and jeeps….and land to drop them off while moving. Yep, totally agree…. Concorde will come sooner or later. Of course! The game blinks an eye to those loving exploration. yeah, there is a lot of Easter eggs to find like when you fly any of the rc planes there will be a bus with a purple ring under it and you have to try and fly under the bus and fly into the ring but sadly I have not been able to fly under the bus because every time I do try I end up crashing on the ground. So if you do get that little secret please tell me what happens when you do get it. Thanks. You could do a story mode. Birds like eagles, rain forest, things that would catch the eye. I was just thinking of the new game and the old missions and how the planes were harder to unlock, it would make the game more enjoyable if the player could unlock more planes easily with the more easy missions. Thanks you so much FrozenPepper !! I very very like RC plane 2 ! I buy all plane ! RC plane 3 !!!! I’m so excited !!!!! It’s really on its way! it’s available now so get to the app store and download it man. I hate how there’s so many IAPs, I don’t want to spend money on a game, there should be ways to unlock the planes other than money, rc plane 2 was very fun even without IAPs. Hang gliders. Will you add Junkers JU87 with a bomb and a bombing mission ? Please re introduce the blackbird SR71 ! And other war planes ! Anyway, good job ! Thanks a lot ! will there be a Mac and PC version? Will it work on iPhone4s? How about a more modern combat opps? Something with the A-10 Warthog or jets. No. You can’t use the A-10 on any of the combat missions. It was strictly a WW2 Ops section. I would love to see more modern combat gameplay. And not with airsoft pellets either. Let’s get some legit tracers and missles! A query/suggestion will there be a map of a proper airport or something as in rc plane 2 the airstrips although are right cause the planes are remote controlled they seemed as if they were rushed as they were only landing strips and if it were in a more detailed way it would make the game far better but because of the time it would take to make the airstrips an airport map or something like that would be cool. Sounds like an awesome game! I am so excited! There really should be more planes to unlock from missions. What warplanes are there going to be on rc plane 3? Will the controls be similar? And will the render distance for detailed objects be as noticeably short as in the video? Will the game be available for android phone’s? He said first gen not second gen.
Video is from a very rough version of RC Plane 3, we have more than tripled view distance compared to that in video, and i’ll ensure you will appreciate the size of it. Stay tuned for for more videos from latest version. Will we be able to change what landing strip we start from? It really is a pain wanting to explore a section on a huge map that is sometimes several minutes from where we first take off (especially in some of the stunt biplanes). Yes. As long as you’ve visited the airstrip, it will become available as a spawn point to start from. I saw my cousin play this on his I phone and sat there jelous of him and wondered, when is the game being released on Android? Where is Rc Plane 3 for the Andriod on Google Play, Can’t Wait!!! Hey! Have a look Here ! Hey! If you release the game on the android from 2016.I give it 5/5 stars on the google play store! And I will share it to my friends!!! Then➡OMMMGGG!!!! 😀 ITS REALLY HIGH GRAPHICS! Please developer if you reading this message please release it NOW! Hi Capplegaming, if you care to join the Android beta program, email us at beta@frozenpepper.it with some infos about the device you would be testing on. I’ve just seen a UFO over a cattle farm, fantastic !!!!! It’s a triangular shaped ufo, three blueish jets at each corner hovering at about 50m. It shines a very bright column of light down into a field! I shall, of course, keep the location secret!